New Blog Post on NMSS: Recognizing Your Lucky Charm – it's only a bruise. 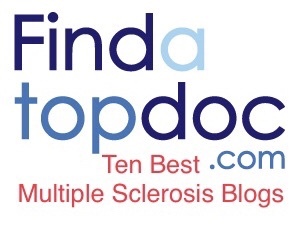 It’s quite a bit different than anything I’ve posted before and way out of my comfort zone, but my latest blog for the National Multiple Sclerosis Society is now live on MSConnection.org! You can read and interact with it by clicking HERE! Also! I’m donating 25 cents to the NMSS for every new follower I get on social media (Facebook, Twitter, Instagram, and YouTube) through the end of this month, up to $100! So if you’re not already, go show my social media some love. See below for direct links!